Nigeria has called for the peaceful resolution of the protracted conflicts between Israel and Palestinian, saying it is greatly concerned about the situation in many parts of the Middle East. Bamgbose said: “Nigeria calls on all parties to make genuine efforts to find peaceful solutions and to cooperate closely with the UN and its relevant agencies accompanying them to realise this objective. “As the international community continues to seek avenues to advance peaceful settlement of the Palestinian question, international efforts remain focused on paving the way for Israel and Palestine to return to meaningful negotiations. “It is a situation that has reverberation around the region and even beyond. “Nigeria believes that achieving a just, lasting and comprehensive settlement of the question of Palestine is imperative for the attainment of durable peace and stability in the Middle East”. Nigeria expressed pleasure at the statement by the Quartet envoys of Sept. 28, 2017, which welcomed the efforts of the Palestinians to create the conditions for the Palestinian Authority to assume its responsibilities in Gaza. The Quartet stressed the importance of close and continuing coordination of all efforts to achieve the common goal of the two-state solution in line with UN resolutions and international laws. 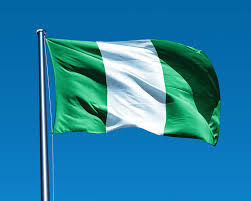 Nigeria said the international community must remain undaunted in its commitment towards finding lasting and sustainable solutions as the conflict continued to pose a threat to international peace and security. The country also urged all parties to show more commitment to making peace a reality. Nigeria warned that “all unilateral actions that have turned hope into confrontation, including settlement activities, violence and inciting violence must stop”. “Nigeria would like to see a genuine effort on the part of Israeli and Palestinian leaders to return to the negotiating table. “Obviously, the current situation does not offer a sustainable solution to the Question of Palestine. Indeed, it is creating despair among the people of Palestine and causing anxiety among the people of Israel. “We believe that there are numerous specific actions that are necessary to foster mutual respect and compromise, build confidence and pave the way for the realisation of the two-state solution. “In this regard, Nigeria encourages Israel to take concrete measures to freeze all settlement-related activities in the West Bank and East Jerusalem. Nigeria said it was beyond doubt that neither military might nor militancy would resolve the protracted conflict. “We encourage both sides to take concrete steps to return to negotiations on the basis of the relevant UN resolutions, the Quartet road map, the Madrid principles, the Arab Peace Initiative and the relevant agreements between them. It would be recalled that U.S. President Donald Trump’s recent recognition of Jerusalem as Israel’s capital has further heightened tensions between the two nations and in the Middle East.